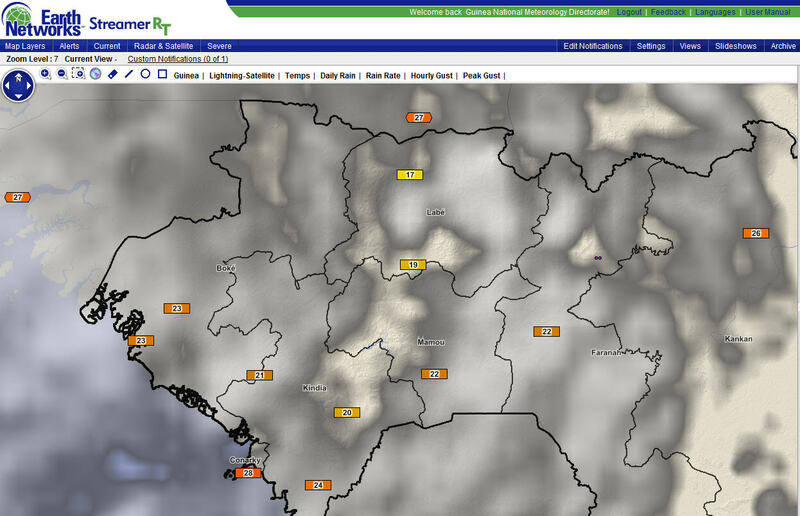 6 September, 3:20 UTC – Clouds and light rain showers were keeping temperatures fairly cool across Basse Guinea and Moyenne Guinea Prefectures this afternoon. Temperatures across our network showed afternoon values between 17 and 24 Celsius. Very little lightning was evident today on the Guinea Total Lightning Network as well. Image below shows current temperatures at 3 p.m. today with satellite data showing widespread cloud cover, but little lightning. Our forecasts indicate a gradual warming trend coming on for the weekend as cloud cover will be less and allow for more sunshine to increase temperatures a degree or two each day. 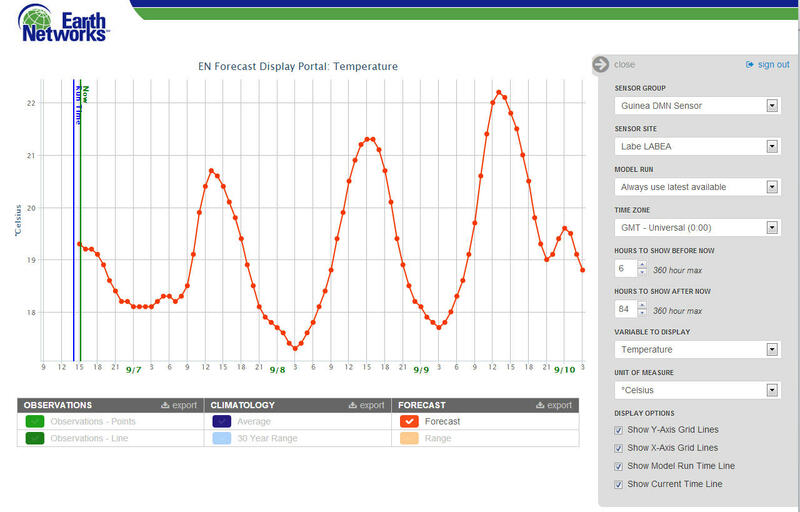 Below is the forecast graph for temperatures in Labe. Note the cool tempertures forecasted for the remainder of today and tonight, and then gradual warming for Saturday and Sunday and into next week.